NO HIDDEN FEES, REAL PRICES FOR CLEAN CARS WITH REAL PEOPLE. 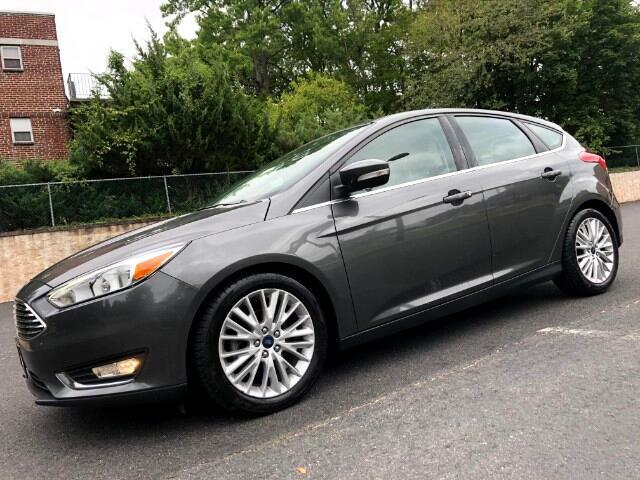 2015 Ford Focus Titanium Hatchback equipped with sporty sharp exterior, great versatility and top of the line features. 1 Owner, No Accidents, Off Lease (not a rental that's been driven abused and abused by countless people) and in pristine condition. 26 mpg City/36 mpg Highway. Features like Leather Seats, Heated Seats, Dual Zone Climate Control, Backup Camera, Remote Start, 17-inch Factory Premium Wheels, Sony Premium Sound System, Color Adjustable, Ambient Lighting, Bluetooth, Bluetooth audio, USB port, Aux Port and so more. Ford’s remainder of Factory Powertrain warranty until October of 2020 or 60,000 miles (Eligible for extension of coverage with duration up to 2026 or odometer reads 125,000). Prime and Subprime financing available.